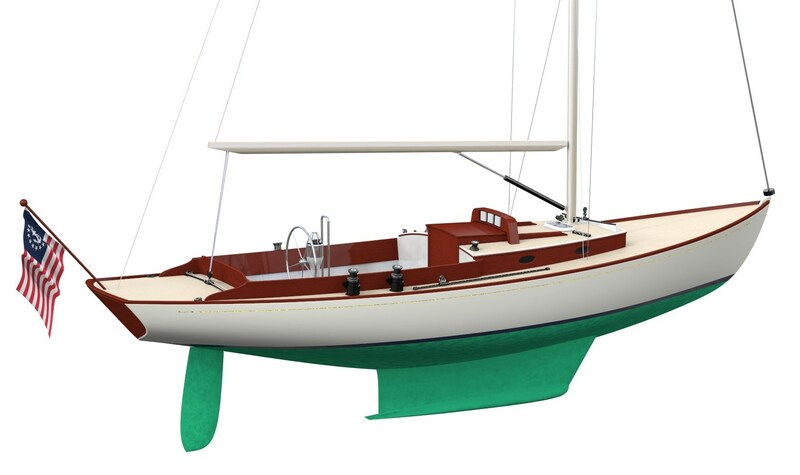 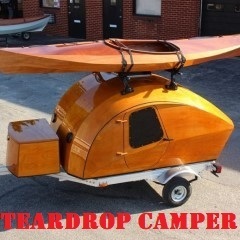 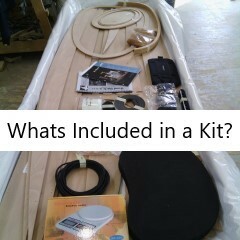 Our next larger vessel we are building is an interesting one - A Joel White designed Center Harbor 31 sailing boat. 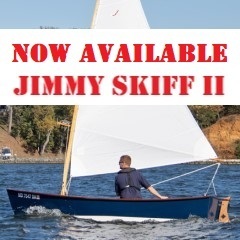 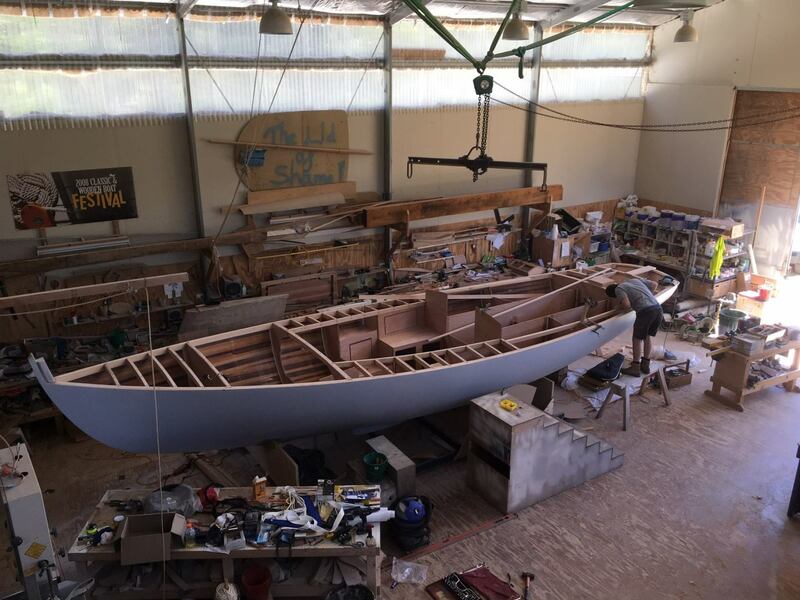 Only a handful of these beautiful daysailers have been built, and none before in Australia. 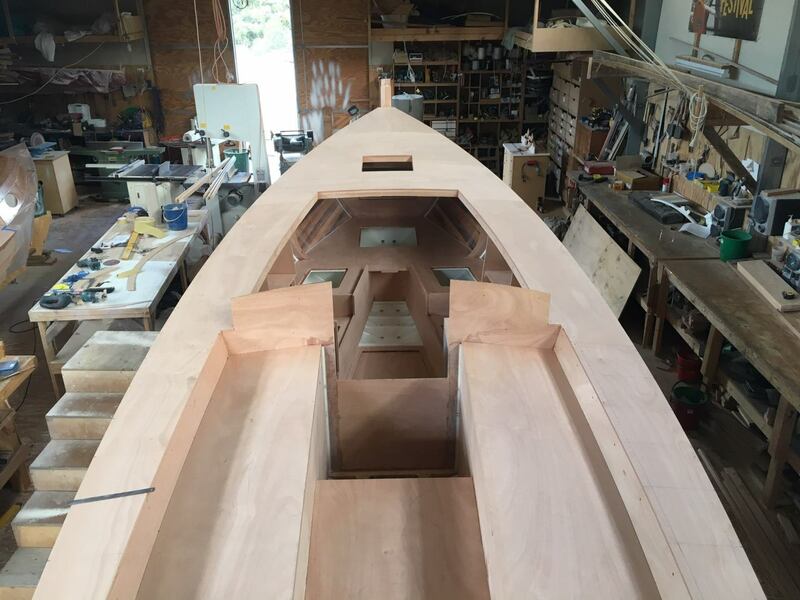 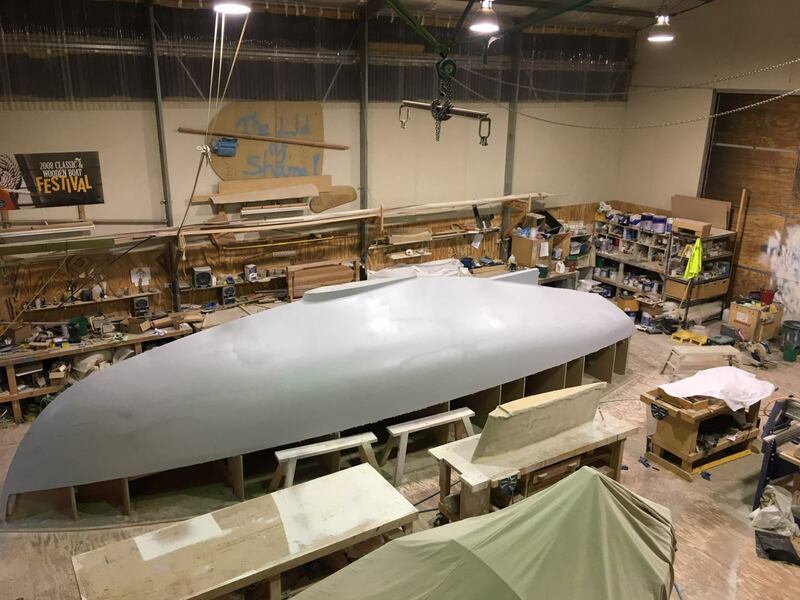 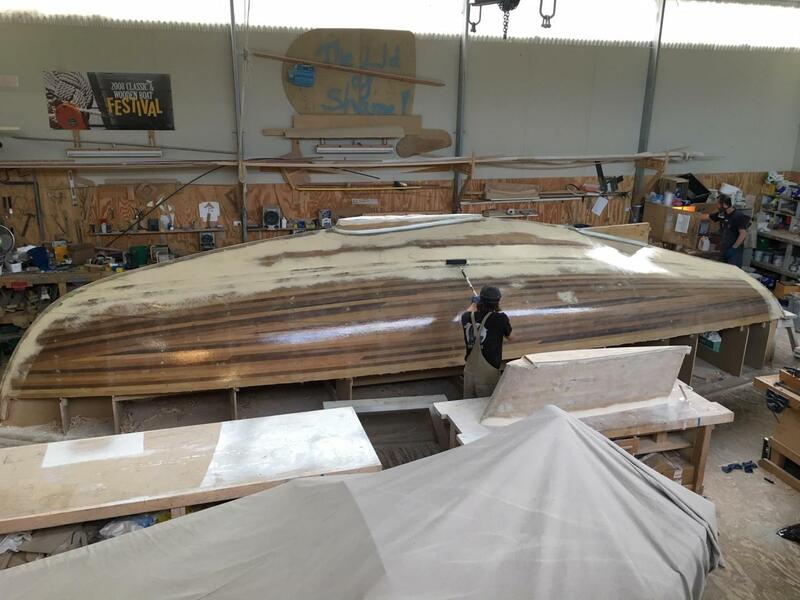 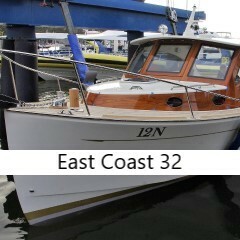 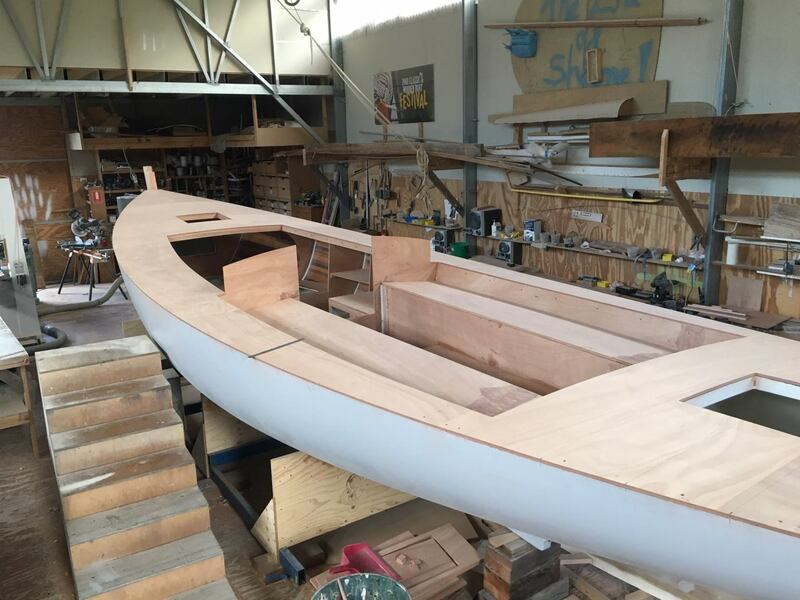 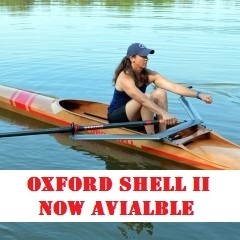 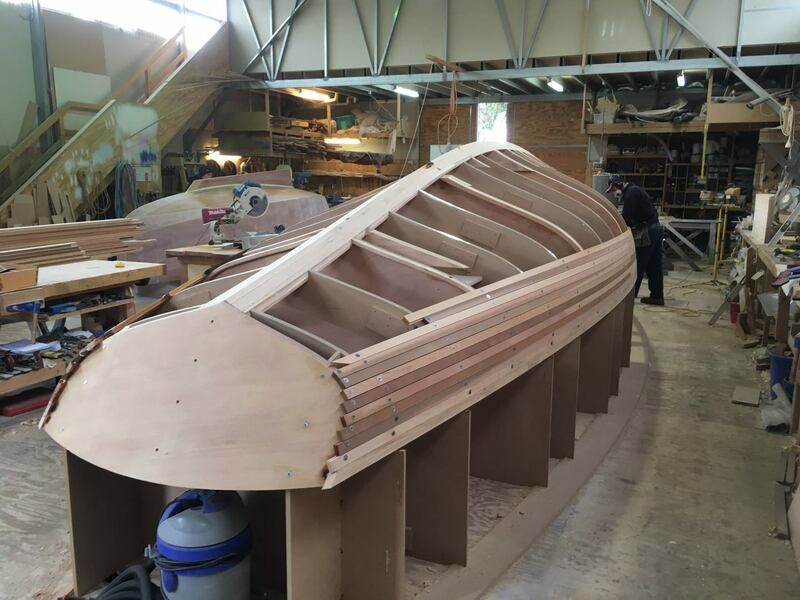 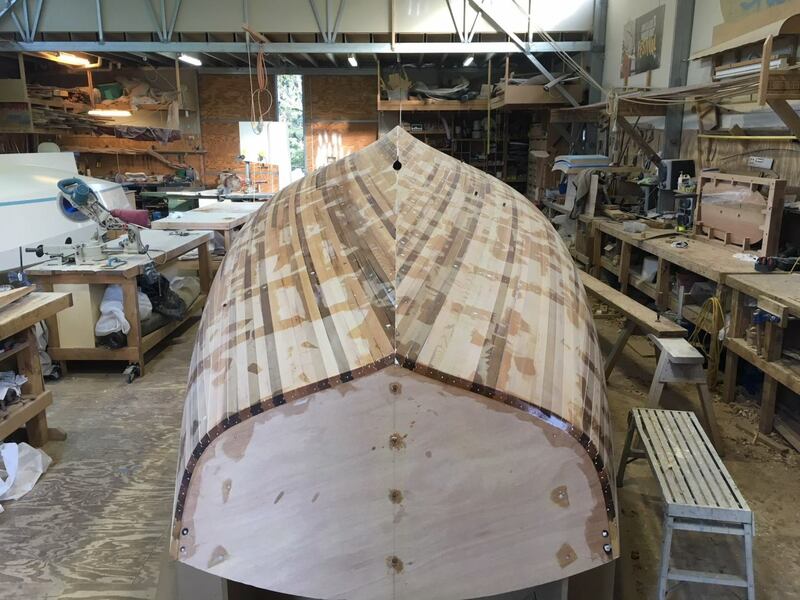 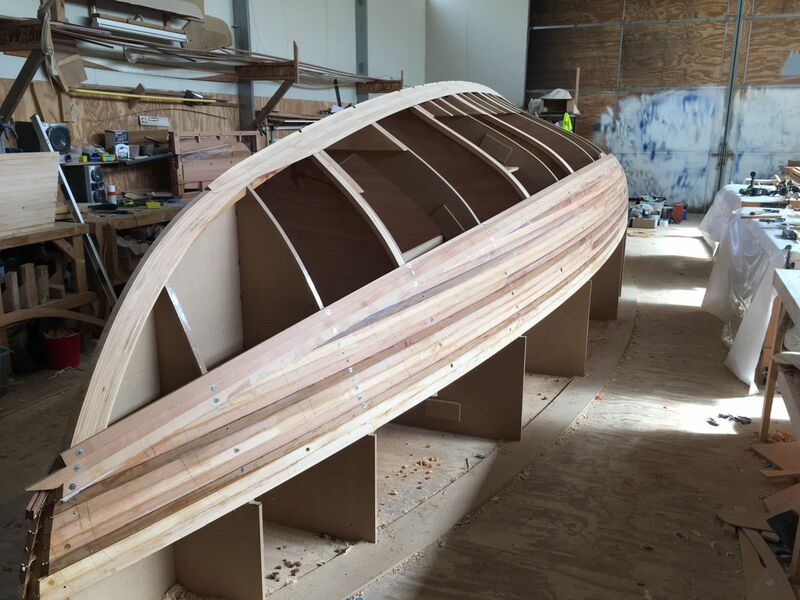 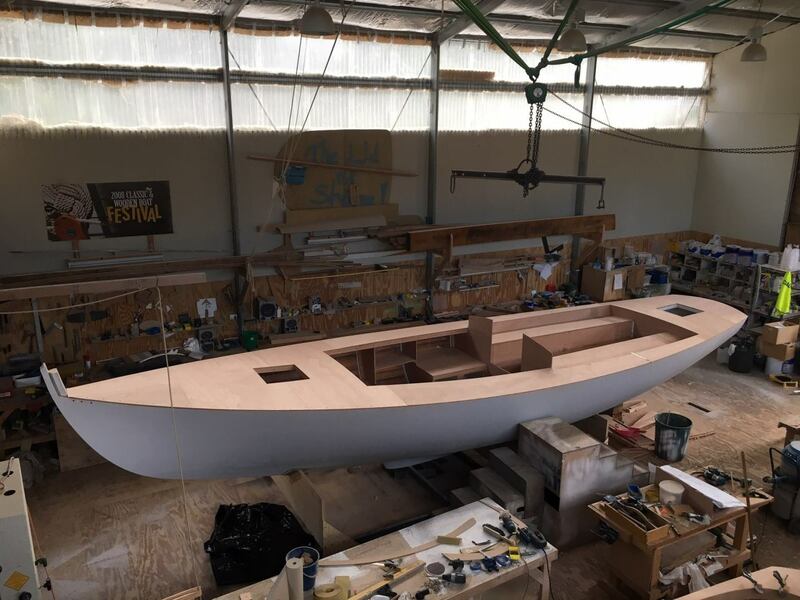 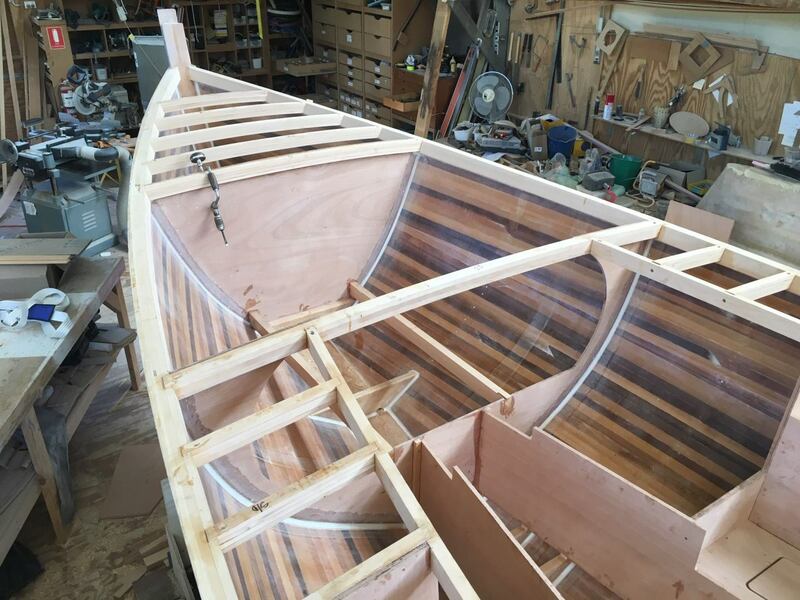 Below is a quick update on the Center Harbor 31 from before the Australian Wooden Boat Festival (Feb2019). 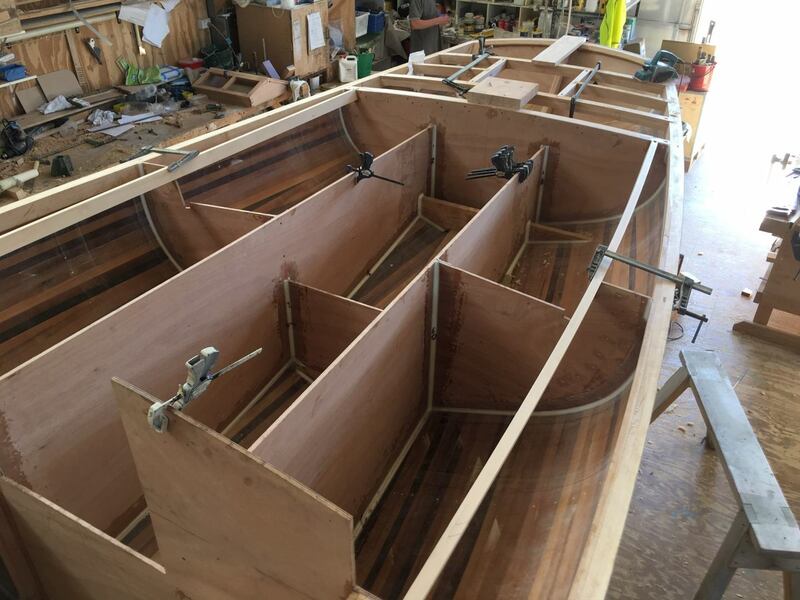 The interior is going together well and the decks have just been dry fitted before fastening down next week. 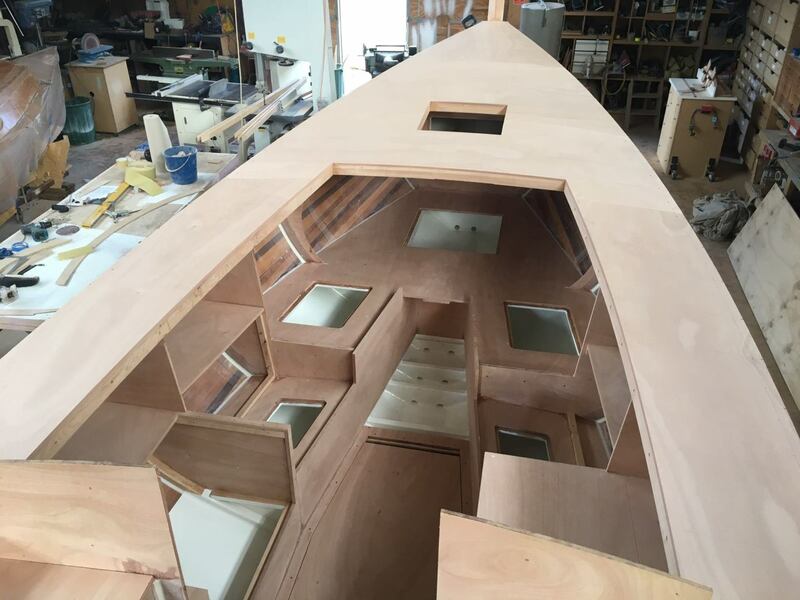 Following shortly will be the trunk cabin and coamings where she'll really take shape.